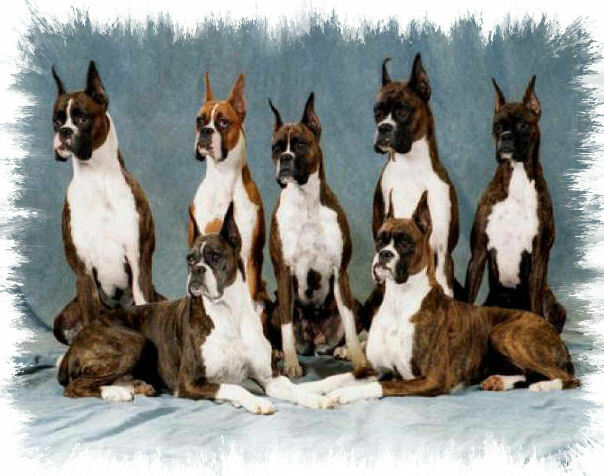 Sunchase Boxers has had much success in Conformation, Obedience and Agility. We are proud to list our Champions here for you to see. Some of them have crossed the Rainbow Bridge, but they still hold a very big part of my heart. "A well balanced dog has a title at both ends"
COPYRIGHT © 2000 SUNCHASE "Train your Boxer every day; as if it is the last day you will ever spend with him"